Creating a new website is never easy. Creating a website to cover an entire industry is nearly impossible. Several years back, I visited Georgia to taste the current vintages, and more importantly, see where the industry was headed through my own lens. Not surprisingly, and consistent with the other 46 states, the industry was thriving. New wineries, great wines, busy tasting rooms and an enthusiasm from winemakers I hadn’t experienced from the state before. All of these factors usually result in state support, especially given the economic impact. Unfortunately, that hasn’t been the case to date. I voiced my opinion in an earlier piece titled, “The Georgia Wine Industry, Finding Their Voice“. Fast forward a few years, the state has lost a bit of momentum with the exit of the iconic BlackStock Vineyards and the award-winning Persimmon Creek Vineyards. BlackStock’s Winemaker and Owner, David Harris, points to the recent bad vintage, but also mentions the importation of grapes and wine eroding the market. Once more, another example where more state support and a single non-partisan organization can help. 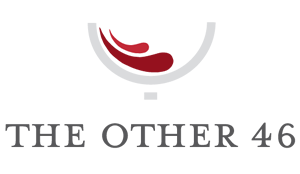 One of my primary goals behind TheOther46.com was to promote the states that are too often excluded from the mainstream wine coverage. Whether it be through this blog, social media or some other vehicle. Taking that one step further, I’m excited to formally announce the launch of Georgia’s most comprehensive winery website, VisitGeorgiaWineries.com. An effort that has been in the works for over a year, the new site will allow visitors to view the industry as a whole. The new site includes winery maps, features and reviews. Like any new site, the success will depend on you, and especially the wineries. I’m excited about the potential, and even more so for the Georgia wine industry. Drink local my friends. Cheers! Congratulations on this great achievement. I’m sure wine afficianados visiting GA will find this extremely useful while on the GA trails!